A couple months ago I found out about Bookcase, a new subscription box that specializes in sending out hand-picked books to readers! I've always been wary of book subscription boxes since they're never personalized and there's no way of knowing what you might get, so I immediately thought this sounded like a great idea. I was lucky enough to receive a box for review, so here goes!! The process started at mybookcase.co where I signed up and filled out a short survey. There are two subscription options: one book for $8.95 or three books for $17.95 (plus $4.99 shipping). I chose the three book subscription type. For the one book subscription that works out to $13.94, so I'm honestly not sure what the benefit would be since that's about the price for a new book on Amazon and Bookcase books are mostly used. But at just under $8 per book for the 3 book subscription, this isn't a bad deal, especially if you end up with a hardcover book! As I said, a short survey had to be filled out where I listed some of my favorite books and also checked the genres I most enjoy. Anyone who reads my blog regularly should know that those mostly include YA fiction, specifically dystopian and fantasy. I'm generally happy as long as I don't have to read chick lit though! After the process of signing up, I waited until August 8th when my box finally arrived! They're sent out on the first of every month, so if you sign up, make sure you're aware of when the next box will be sent! The box itself is a plain brown box and was sent via USPS Media Mail, although I do appreciate that the packaging was nice and sturdy. I've received my fair share of damaged books but these were good to go! The packaging was really nice on the inside, with yellow crinkle paper as padding along with a Bookcase card with directions for how to win free shipping on future boxes! The very first thing I saw when I opened my box was a copy of Left Behind by Time LaHaye and Jerry B. Jenkins. I think pretty much everyone has heard of the Left Behind series and I was honestly really surprised it was in my box considering it's Christian fiction. While I'm certainly not knocking the Left Behind series, this is not a genre I read and I definitely didn't indicate that I would like to read religious fiction in the survey I took. But there were still two other books to check out! The remaining two books in my box were The Dressmaker by Kate Alcott and Loving Frank by Nancy Horan, neither of which I have heard of, but was excited to find out more about! The Dressmaker is a historical fiction novel about a woman who falls in love with two men on board the Titanic, survives the sinking, and has to deal with the aftermath of media frenzy. In addition to Historical Fiction, this book is also categorized as Historical Romance and Chick Lit. I may give this one a read sometime just because I am a sucker for all things Titanic! I'll definitely have to save it for when I'm in the mood for historical romance. The last book in the box, Loving Frank, seems to be about Frank Lloyd Wright's mistress. On Goodreads it's categorized as Historical Fiction and Book Club. This one is definitely way out of my comfort zone and I doubt I'll be reading it anytime soon. The books themselves were all in good condition, although it's obvious that they are used books (which the website states). The pages of all of the books were slightly yellowed as often happens with older books. I also got an interesting surprise in Left Behind - a business card for a Piping Products Laboratory, whatever that is. Out of the three books I received, one seemed pretty out in left field based on the responses I gave in my survey. I did select "historical fiction" as a genre I do read, so I'm not terribly surprised that I ended up with two from that category. Like I said, I will probably read The Dressmaker based on its Titanic ties! However, I am a little disappointed that I didn't end up with any YA books, since that is what I overwhelmingly read and listed on the survey. For the three book subscription, I think the price is right and it's always fun to have a box full of books waiting on your doorstep! 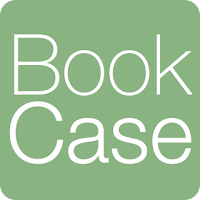 I would definitely recommend Bookcase to diverse readers and especially to those who prefer adult fiction. If you would like to sign up for a Bookcase subscription you can do so at mybookcase.co!